There are many portrait photography eBooks on the market. This article looks at two of them and helps you decide if they're worth the paper they're not printed on. Some photography ebooks are not worth the time reading and others do a good job of informing and inspiring you with strong ideas to improve your portrait photography techniques. I should know. I've got a library of photography books. I've been a reader of DigitalPhotographySchool for quite some time and have found not only their web site to be full of good digital photography tips but also the eBooks that they offer are worthwhile buying too. Okay, so let's dive right in. I was excited to plow through this portrait eBook as soon as I got it. Upon skimming through the 119 illustrated pages I knew it was a winner. No matter what your level of portrait photography knowledge, you can learn from an eBook like this. One of the advantages of an eBook is that it is good for the environment. They also don't burn, mildew, rot or get coffee stains on them. EBooks are also easy to travel with and don't take up any shelf space; so storage is easy. The eBook has 13 pages of posing and clothing tips for men (really good suggestions) and 12 pages of posing tips for women. One of the minor gripes I have with this photography eBook is it doesn't show any tricks specific for large, full-bodied females in that section. All of the females in this section are thin and attractive. There is a full page before the female section that does a real nice job of how to do a standing pose to slim down your subject but I would have enjoyed a little more on the topic. One of the biggest challenges for photographers is to keep their female subjects happy by making them their thinnest in the pose. Other highlights of this book are short sections covering lens choice, building rapport with your subject, and the ten starting "rules" that make a good overall guide to successful portraiture. The "Striking the Pose" eBook comes with a real nice bonus. If you want a simple, printable catalog, full of poses that you can copy, you are in luck my friend. There are 67 specific poses, for men, women, children, couples, corporate, lifestyle and groups. They are all given specific names to use to remember them, such as "the kneel and twist," "the family picnic," "the blue steel," and dozens more. 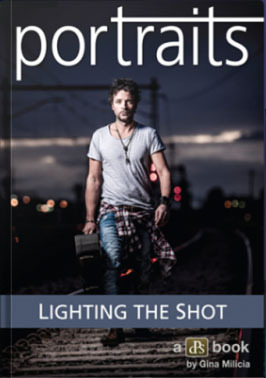 This is another portrait photography eBook that I think is worth reading. Photography is "painting with light" and is the single most important element in all genres of photography. Gina Milicia is a lighting master and you can learn the basics along with the tricks of portrait lighting that make all of the difference in the world of portrait photography. 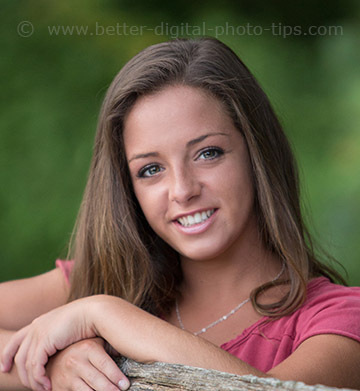 She has written at least three different portrait photography eBooks for Digital Photography School to market. Gina has had the pleasure of photographing famous and powerful people in exotic locations, facing a wide variety of lighting situations. 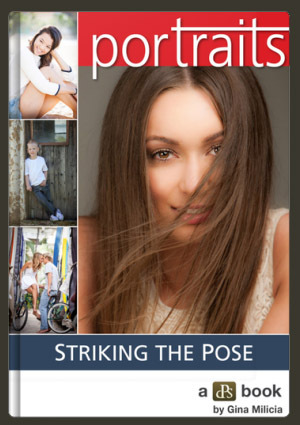 Over 25 years of lighting experience and knowledge went into this portrait photography eBook. 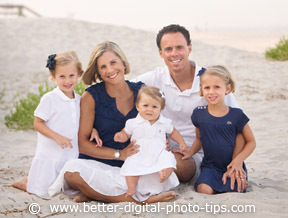 This portrait eBook also has a set of 10 "rules" that are a good guideline to start with. There is a lot of good information on learning to see light and the different characteristics of light that are good to master in portrait photography as well as all other types of photography you want to experiment with. Highlight sections are "Building the shot-one light at a time," and working with different lighting conditions like low-light and high noon. I came across a third book on portrait photography. Being that it's centered around children's portraits, I couldn't resist checking it out. I like the fact that it gives practical tips aimed and parents and grandparents, but that pros like me will benefit from using the ideas too. 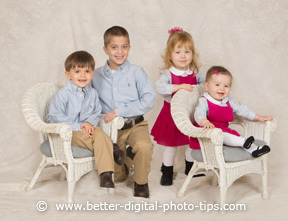 This children's portrait ebook was written by pro photographer Rachel Devine. She opened her photography business in 1995 and became a photo blogger blogger in 2004. Rachel has been shooting since she was 14 and now shoots commercially in the children's market. When it comes to portrait photography, these are among the best photography ebooks. The more you shoot and the more your read, the better you get.